If you are looking for a cost effective startup bundle for MobiPOS iPad POS Software, then this bundle the way to go! 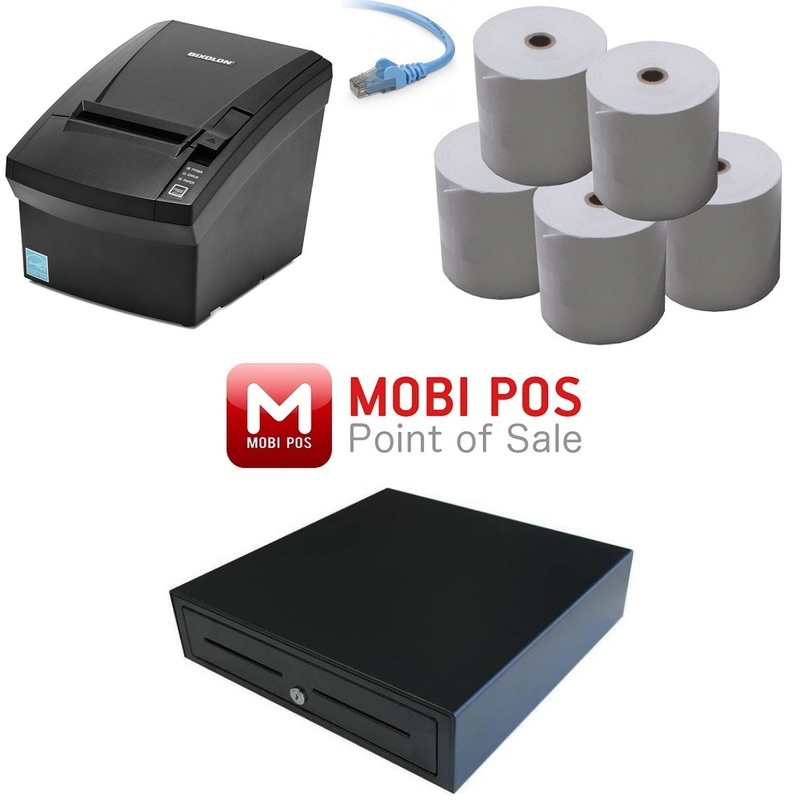 The MobiPOS Hardware Bundle #12 is a great starter pack for MobiPOS iPad Point of Sale Software. 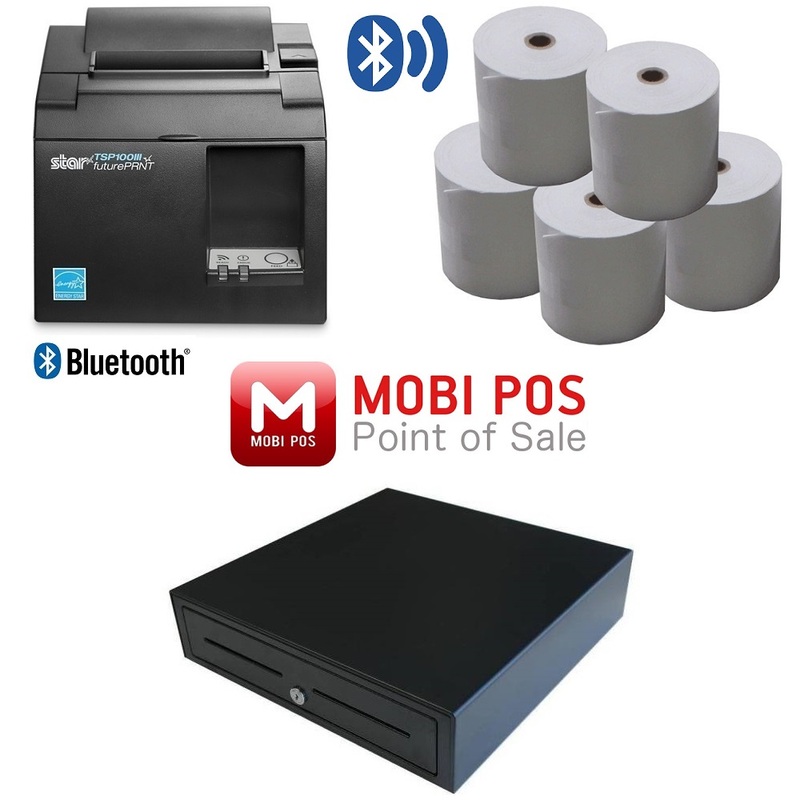 It comes complete with Receipt Printer, Cash Drawer and Paper Rolls so all you need to do is ensure you have an iPad, Sign up to MobiPOS and begin adding your product. We have you covered for all of your hardware. The receipt printer in this bundle connects via cable to your Wireless Router or Modem. You then wirelessly connect to your iPad to the Router and you printer will be on the same network. We can also assist when it comes to doing this. The Bixolon SRP330II is a cost effective 3 inch thermal receipt printer with triple interface Serial (db9), USB & Ethernet. The SRP-330II also comes standard with an Auto cutter and the print resolution is 180 dpi. This product has 24 month warranty on the printer and 12 month warranty on the Print Head. The Cash Drawer has 5 notes, 8 coin sections and made from high quality robust steel and designed to withstand even the most demanding point of sale environments. The Cash Drawer can open via Receipt Printer but can also be Manually opened by key.